Lifetime 44" Portable Basketball System Just $71.99! Down From $150! PLUS FREE Shipping! You are here: Home / Great Deals / Amazon Deals / Lifetime 44″ Portable Basketball System Just $71.99! Down From $150! PLUS FREE Shipping! Lifetime 44″ Portable Basketball System Just $71.99! Down From $150! PLUS FREE Shipping! Amazon has this Lifetime 44″ Portable Basketball System on sale for just $71.99 down from $149.99 PLUS FREE shipping! The Lifetime 1221 Pro Court Adjustable Portable Basketball Hoop with 44 Inch Impact Backboard is perfect for recreational home use. 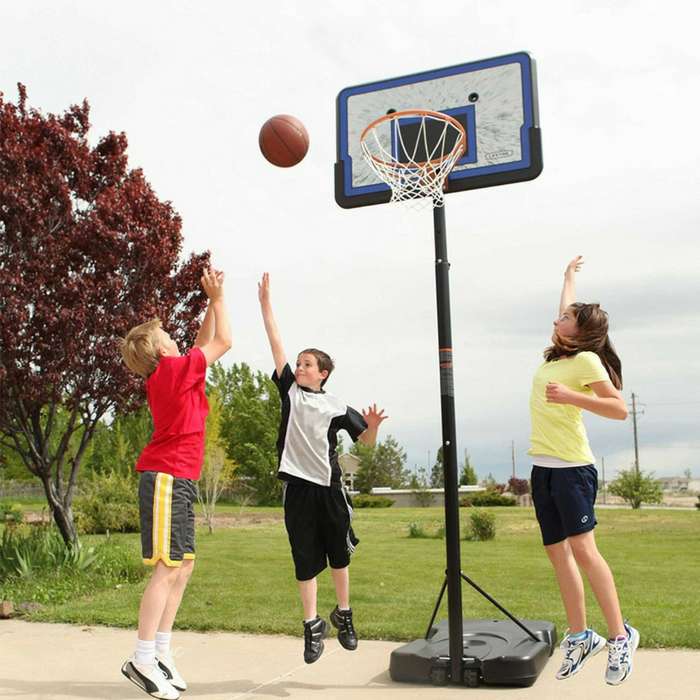 The Lifetime basketball system features a 44 inch Polyethylene backboard, a classic basketball rim and a 27 gallon Pro Court base. The telescoping post allows you to adjust the basketball goal from 7.5-10 feet in 6 inch increments, so that players of any age can enjoy the game at their level. This is gonna be fun!